Alfonso and Leopold is an appealing tale of rivalry and exploration. 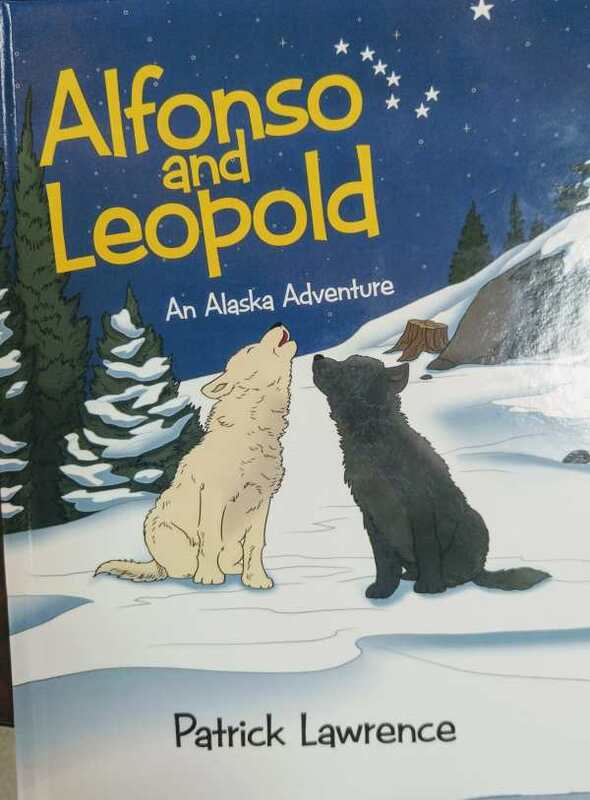 Patrick Lawrence’s charming picture book Alfonso and Leopold follows two brother wolf pups as they explore the Alaskan wilderness in search of the great wolf spirit. Alfonso is exuberant and adventurous, happy to be out roaming the world around him. Leopold is cautious and would rather return home. The two wander far away, encountering a hare and a mountain lion before eventually ending up on the outskirts of a village. A man just stepping out of his home shoots a gun at them; they run away in fear, returning to their den and their parents. It is only then that they find the great wolf spirit. The story is straightforward, without surprise twists and turns. The relationship between the brothers suggests a familiar fraternal rivalry. Alfonso takes the dominant role, pushing his brother beyond his comfort zone. Leopold’s more careful nature is just as significant, helping to keep both brothers safe in their adventure. The Alaskan landscape is the backdrop for the story, and though exploration is limited, it may inspire curiosity. The pair encounters only a few other animals on their journey, and humans are set up as the most dangerous. Parents may need to explain the behavior of the man with the gun. Digitally rendered illustrations match the text, but they are not memorable. There is a significant amount of text on each page, and early readers may require some assistance. A word list at the beginning of the story defines four new words alongside key facts about wolves, adding a teaching element. A coloring page at the end of the story is a nice touch.